Any person responsible for paying to a resident any sum under a life insurance policy, including the sum allocated by way of bonus on such policy, other than the amount not includible in the total income under section 10(10D) shall deduct the tax at source at the time of payment of such sum @ 1% . Tax is deductible at the time of payment. No TDS is required if the amount payable during the financial year is less than Rs. 1,00,000. Lower TDS certificate provisions of section 197 are not applicable. However, self-declaration in Form No. 15G/15H can be submitted under section 197A (with effect from June 1, 2015). 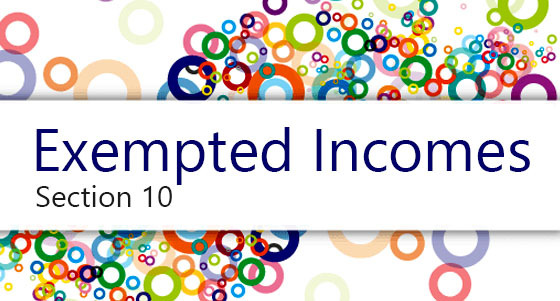 In other words, If exemption is available to the recipient under section 10(10D), then the above TDS provisions are not applicable. any payment under insurance policy issued after March 31, 2013 to a person covered under section 80U or 80DDB where annual insurance premium is more than 15% of capital sum assured. In cases covered by (c), (d) or (e) (supra), tax is not deductible if the payment is made on the death of a person. Any payment under a policy [not being a keyman insurance policy or a policy covered under section 80DD(3) or section 80DDA(3)] issued prior to April 1, 2003, is not subject to TDS provisions of section 194DA. TDS provisions of section 194DA are applicable whether payment is made at the time of maturity or otherwise. Suppose an insurance company gives a loan of Rs. 1,00,000 (or more) to a policyholder against an insurance policy (which was issued on or after April 1, 2003 and annual insurance premium is more than 20% of sum assured), TDS provisions of section 194DA would be applicable at the time of release of loan amount to policyholder. No surcharge, education cess or SHEC shall be added to the above rates. Hence, tax will be deducted at source at the basic rate. The rate of TDS will be 20%, if PAN is not quoted by the deductee. Section 197 is not applicable in case of section 194DA and hence tax shall be deducted at the applicable rate. No deduction under section 194DA shall be made where the amount of such payment or, as the case may be, the aggregate amount of such payments to the payee during the financial year is less than Rs. 1,00,000. The employee may furnish a declaration in writing in duplicate in new Form No. 15G to the payer to the effect that there is no tax payable on his Total Income. In this case, the payer shall not deduct any tax at source. Payment in respect of rent. Notwithstanding anything contained in section 197A(1B), above, no deduction of tax shall be made from the above incomes in the case of an individual resident in India who is of the age of 60 year or more at any time during the previous year, if such individual furnishes to the payer, a declaration in writing in duplicate in Form No. 15H to the effect that the tax on his estimated total income of the previous year in which the above income is to be included in computing has total income will be NIL. In the case of such senior citizen, the income from the above sources can be more than the maximum amount which is not chargeable to tax but the tax on his estimated total income, inclusive of such incomes, should be NIL. As per section 206AA(2), declaration under Form No. 15G or 15H shall not be valid if it does not contain the permanent account number of the declarant. In case any declaration becomes invalid, the deductor shall deduct the tax at maximum marginal rate. The payer of the income is required to deliver to the Principal Chief Commissioner or Chief Commissioner or the Principal Commissioner or Commissioner one copy of declaration given under new Form 15G on or before the 7th day of month next following the month in which the declaration is furnished to him. Is it possible to get the payment without tax deduction or with lower tax deduction If the recipient submits Form No. 15G/15H under section 197A, tax is not deductible.